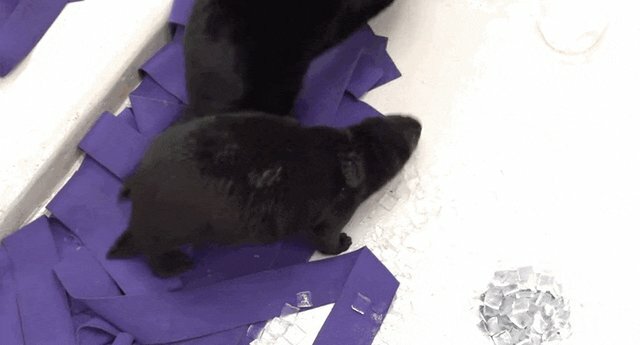 Luna and Cayucos are two little orphaned sea otters who were both rescued as babies and nursed back to health at the Shedd Aquarium in Chicago. 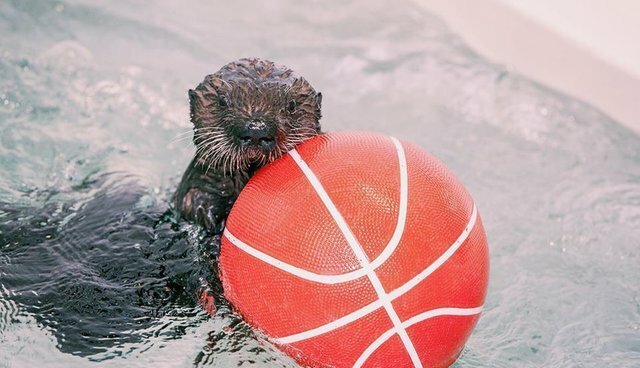 With no otter families of their own, 3-year-old Cayucos and 8-month-old Luna missed out on a lot of the otter playtime they would have had in the wild, so their human caretakers decided to set them up on a very special playdate in the otter nursery. Even though they had just met, the two little otters were super excited to get in the water and play with each other. 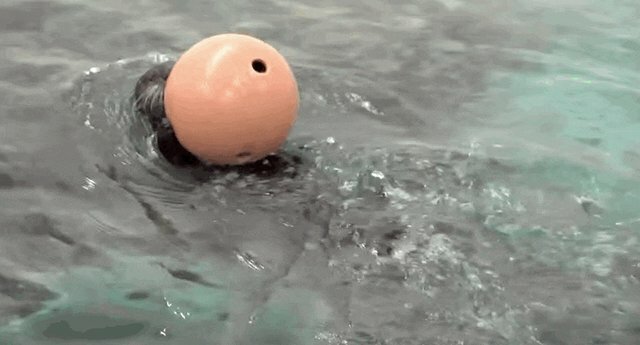 Luna weighed only two pounds when rescuers found her crying on a beach without her mother - she even had to have swimming lessons from her human caretakers. Hopefully getting to play with an older otter like Cayucos will help Luna learn some of the otter behaviors that she might have missed by not having a mom around. Plus they're just so darn adorable together. 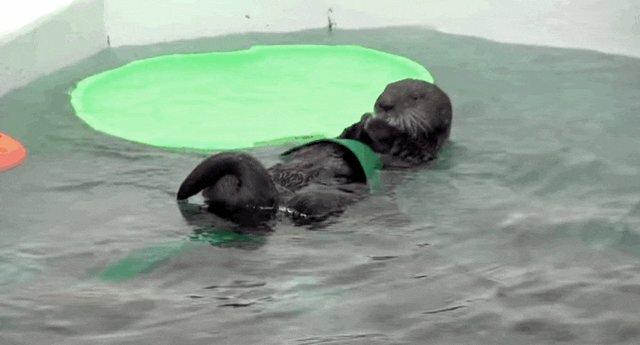 "Here, let me show you how I swim around with a ball on my tummy." Even though baby wild animals are super cute, if you come across one who seems to be by herself don't step in - usually there's a mom nearby. Leave the rescuing to the pros.